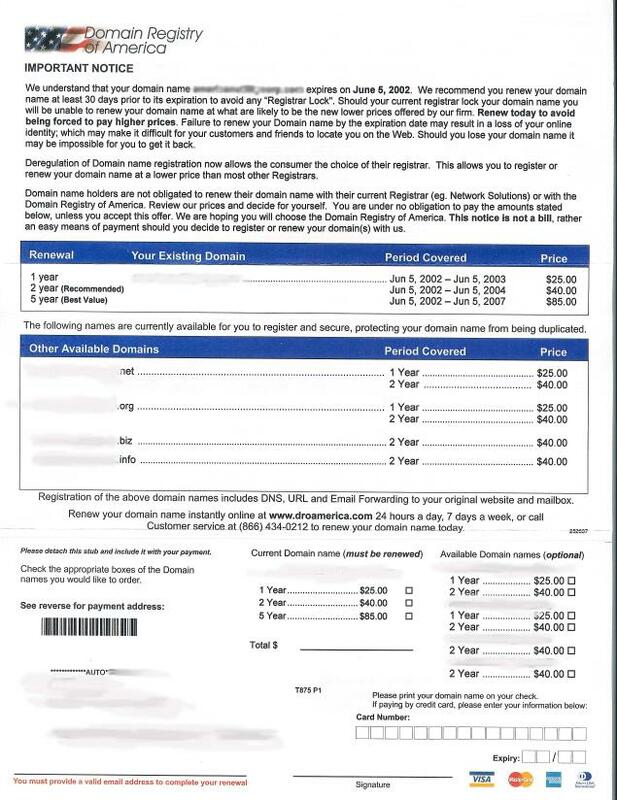 The following provides answers to some of the most frequently asked questions about the domain name registration solicitation mailings. 1. What is Fraudulent Invoicing for Domains? We want to help you prevent your domain name registration from being moved to another company by being tricked into renewing with another provider. 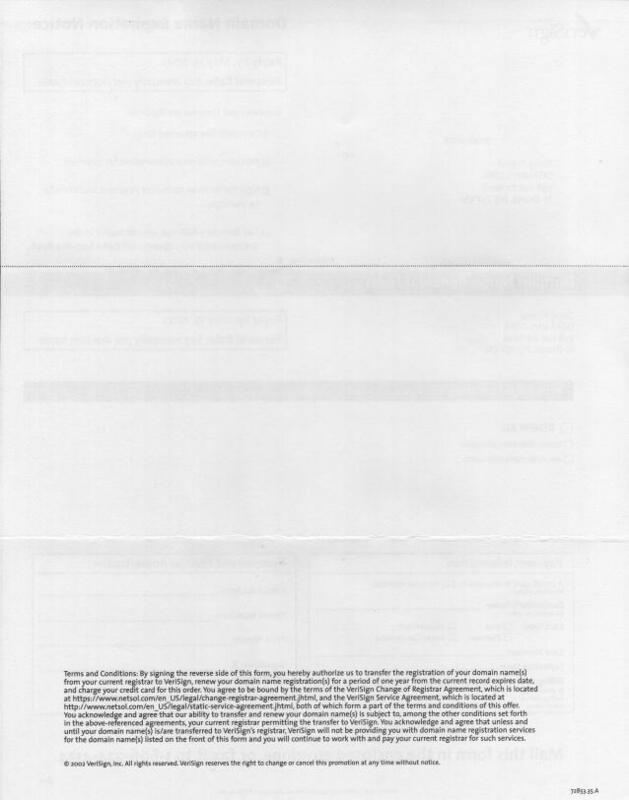 If you receive mail that appears to be an invoice, which is in fact a solicitation for business, you may be the target of a fraudulent or false invoicing scheme. 2. Which companies are making these solicitations? 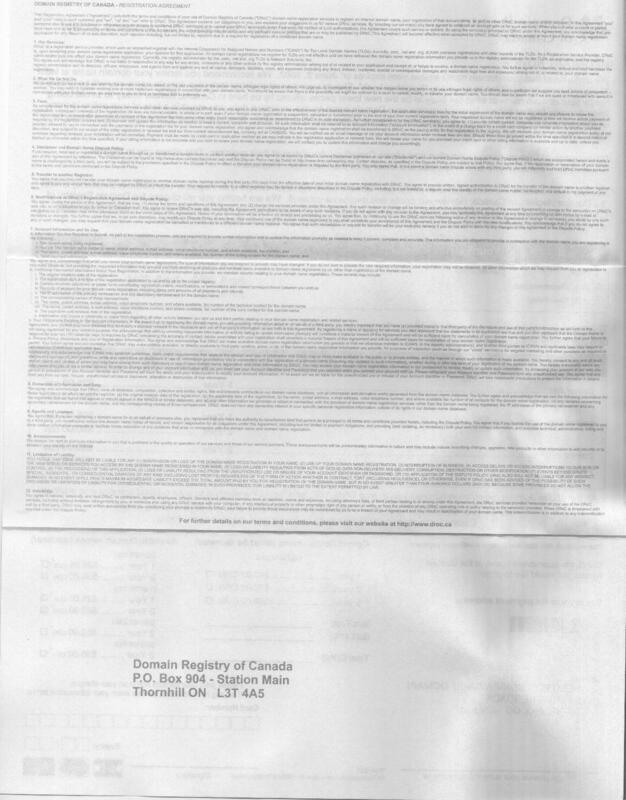 Click on the pictures below to enlarge examples of the letters sent out by each of these companies. 3. 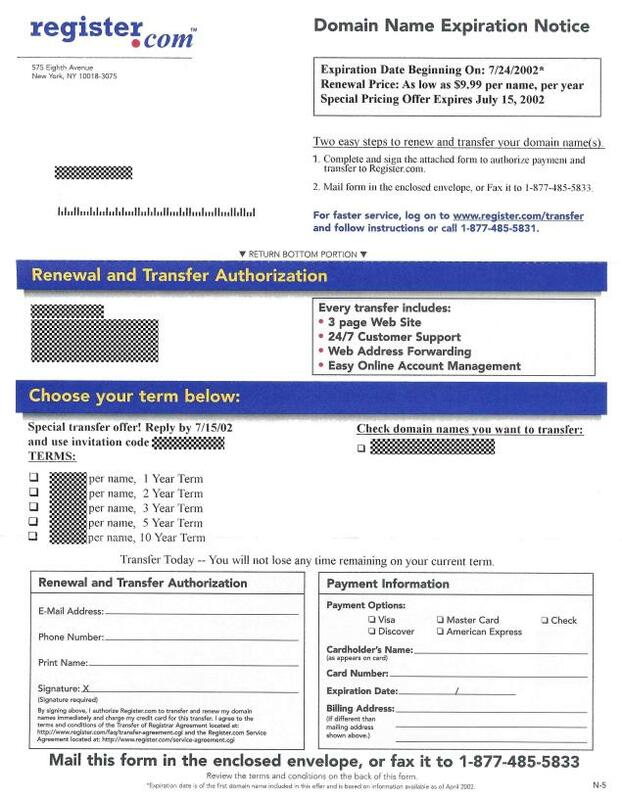 What should I do to avoid being tricked into transferring my domain away from my current provider? The best way to combat this is to simply IGNORE all communications regarding your domain name that do NOT come from your current provider. 4. What can I do if I’m already a victim? The first thing you should do is contact the payment authority. In all likelihood, these transactions will not be processed if the company is not able to secure payment for the transaction. If you have already sent money to one of these companies, we suggest contacting your bank or credit card company immediately regarding your options to have any payment you may have authorized either stopped or reversed. 5. How can I help make sure this doesn’t happen to anyone else? Report the incident to your current provider and the appropriate authorities!! Proactively combating these sorts of unscrupulous business practices is the only way to ensure these companies are stopped. This will not only help you, but all registrants, to enjoy the freedom to choose your provider and to be free from solicitations designed to deceive or trick you. It will also help us aid you in the recovery of your domain. 6. How can I combat an incident of solicitation? IC3’s mission is to serve as a vehicle to receive, develop, and refer criminal complaints regarding the rapidly expanding arena of cyber crime. The IC3 gives the victims of cyber crime a convenient and easy-to-use reporting mechanism that alerts authorities of suspected criminal or civil violations. The InterNIC (a division of ICANN, the governing body for domain names) will accept complaints filed online. Please see this link to file a complaint online with the Internic. While they will not respond directly, they do monitor complaints filed online for patterns. See also ICANN’s Helpful Hints for Resolving Customer Service Complaints. You can also file a complaint with the Federal Trade commission at FTC online complaint form. 7. What other kinds of scams are out there? The first type of domain scam often involves a company phoning or faxing you claiming that someone is trying to register an alternative version of your domain name. Usually this is your domain name with a different country code extension, such as China (.cn). They will offer you the chance to register that domain name at a high price to “prevent the other person from taking your domain name”. They will often give you a short time limit, a few days or even a few minutes if it’s a phone call, to decide whether you want to register that domain name and prevent someone else from taking it. Popular scare tactics include the use of terms like “domain pirates”. The people allegedly about to register the other name rarely, if ever, exist, although there have been instances where the alternative domains have been registered by “the other person”. If this happens, it is most likely that the domain scammers are “the other person” and have registered the domain name themselves. Our advice is not to register any domain names with any company making such claims. If you feel the domain name is important to you, register the domain name online with us or another provider at much lower prices. You may be able to do this even while you discuss matters with the domain scammers. Web Hosting: Offers to have your site hosted more cheaply and reliably than your current provider. Search Engine Submissions: Offers to increase your site’s traffic through search engines. Site Updates: Offers to improve your site’s design. Marketing: Ways to advertise your site. Bulk Email: Ways to target lots of people through mass emailing. Except for bulk emailing (aka spam) each of these things are genuine measures you can take to increase your site’s performance… if they are undertaken by a genuine professional. However, no genuine professional worth talking to is going to send you an unsolicited e-mail touting their services, so you can safely assume that when you receive such offers, no matter how personalized they may seem, that millions of other people received exactly the same offer. This is spam, and you should delete it without further consideration.